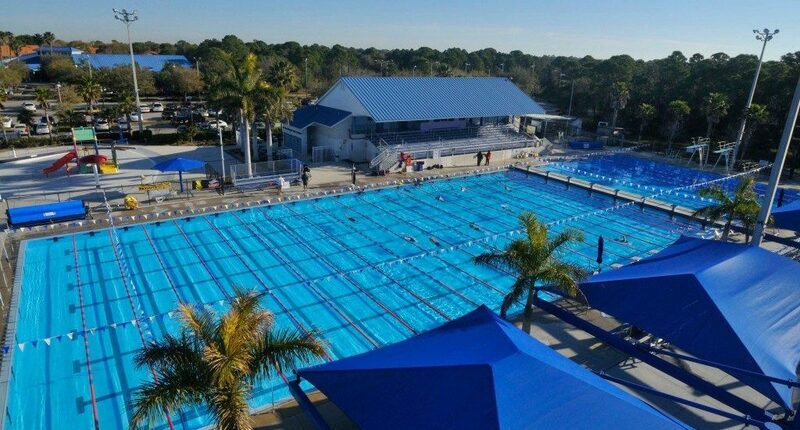 NORTH PORT — Facing an anticipated price tag of more than $12 million, if they checked off all the boxes on their wish list for a new aquatic center at Butler Park, North Port city commissioners spent more than 4 ½ hours Monday figuring out how to fit the proposed facility into their budget. “We can make this be whatever you want it to be, it’s just what do we take out,” said Mark Hatchel, vice president and senior aquatic planner at Kimley-Horn. The commission didn’t delete any items, then voted unanimously to go forward with the aquatics park and to pay Kimley-Horn $550,000 to continue shepherding the project, including a design with bid alternates, as well as a plan on both cost and revenue potential for the project. “This is something that’s been planned for so very long and the public has been asking for it repeatedly,” Vice Mayor Vanessa Carusone said, while making her motion to approve the project. 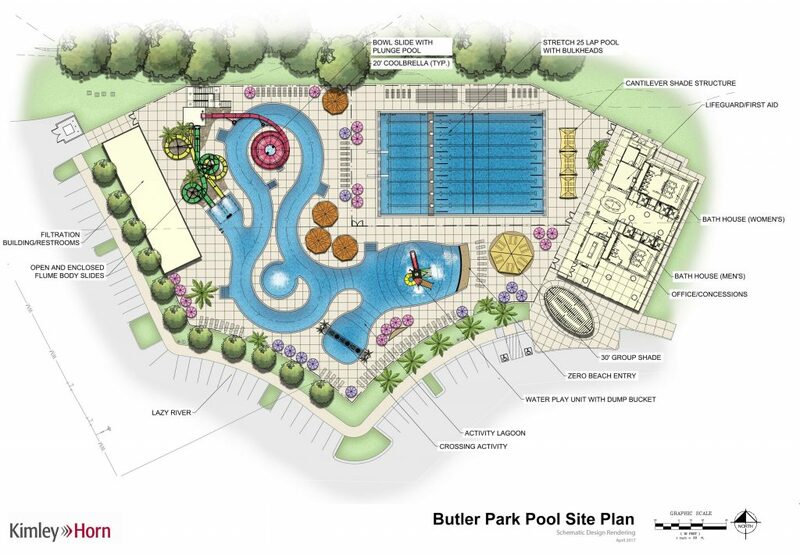 The commission approved a scaled down version of the Rogers Aquatic Center — the Wet Willy, a three-acre water park in Rogers, Arkansas — nestled next to the Morgan Family Community Center at Butler Park. 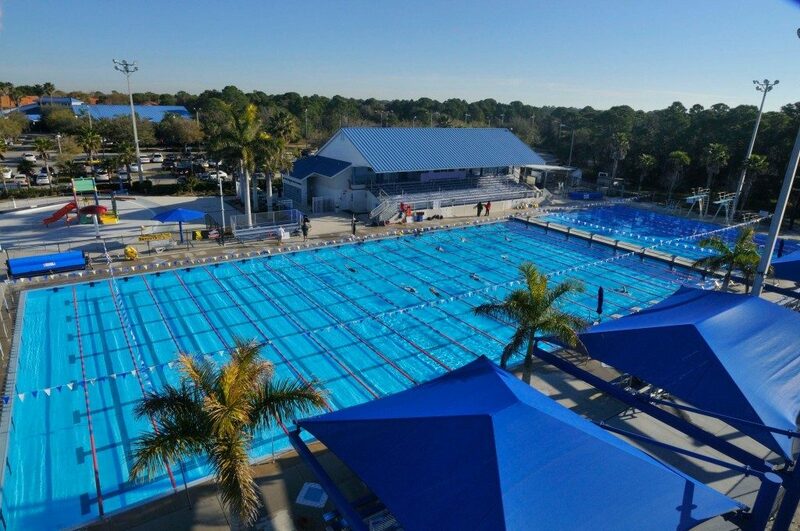 At the moment, that would include both a 25-yard stretch competition swimming pool that would be suitable for most high school and college swim meets, a multi-generational, lazy river leisure pool, open and closed flume body slides and possibly a bowl slide with a plunge pool. The latest plan Kimley-Horn showcased could accomplish that for $12 million. The city already has about $2.3 million budgeted for swimming pools. That money comes primarily from the local one-cent sales tax. 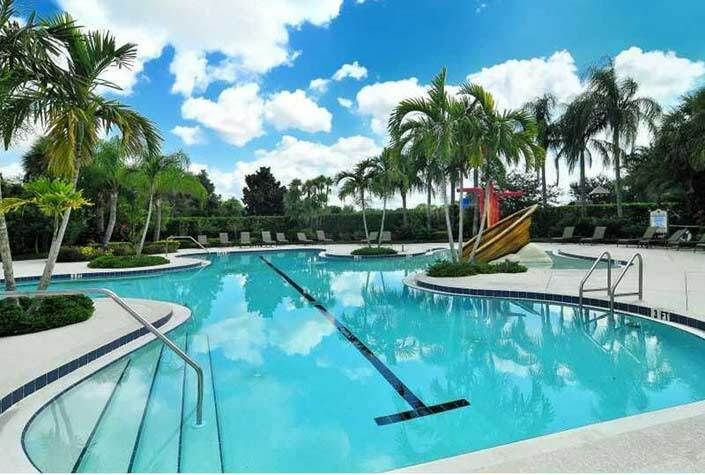 Park impact fees may also be used to help pay for a new pool. But only about $2 million of that would be used on the Butler Park complex, interim city manager Peter Lear said, since about $300,000 would be needed to decommission the city’s existing pool, currently operated by the SKY Family YMCA. Other funding options, Lear said, would be a bank loan, appropriation of additional one-cent sales tax money and even raising the property tax rate. Lear mentioned that the city could also apply for county Tourist Development Tax funding. Faced with those options, the commission opted to shift future capital projects, and pay for the other $10 million out of the one-cent sales tax. “We have the money to do this project — rightfully so, it’s not going to increase the millage rate on the taxpayers,” Mayor Linda Yates said. The city has been trying to build an aquatic center at Butler Park for more than a decade. 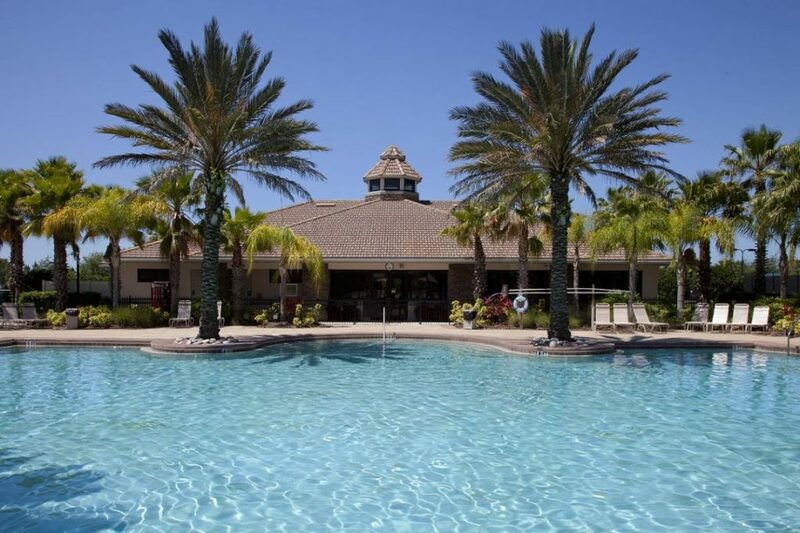 At first, they’d settled on a smaller version of this plan — without the water slides — but backed off in 2011, when faced with the thought of paying up to $600,000 annually in operating expenses. That was later re-imagined as a 50-meter competition pool that had some dreaming of attracting Olympic level competition. In March, the commission pivoted to this water park plan. Though revenue projections are forthcoming, the additional amenities such as the two flume slides and teen bowl slide mean this version of the park could earn more revenue, noted, Scott Hester, an engineer with Counsilman-Hunsaker, the firm that worked on Wet Willy. Lear noted that revenues may offset all but $100,000 to $150,000 a year of operating costs, something that’s more palatable than the $600,000 cost the city was looking at during the recession. Both Kimley-Horn and Counsilman-Hunsaker earned praise from the commission for bringing a design that captured what they envisioned at the March meeting. All five commissioners took issue with the thought that the new park wouldn’t be open until May 2019 — a two-year construction schedule. Both Yates and Carusone said they were eyeing an 18-month time frame for the aquatics park to open.